One of the few side effects online shopping is porch piracy or package theft. It’s the act of snatching packages from the front door. 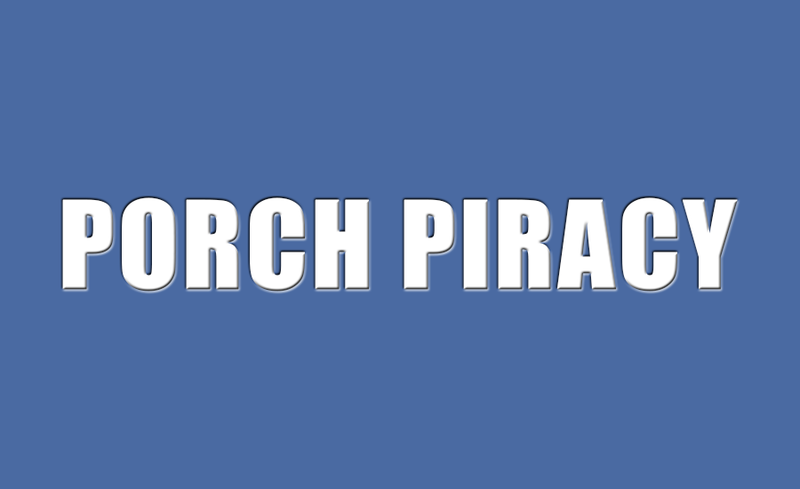 One survey done recently showed that some 11 million homeowners have been victims of porch piracy in 2017. Another home survey showed than 3 out of 10 Americans have had a package stolen from them. The best way to prevent porch piracy is to be there when your package arrives. If you work during the day, you can have the item delivered to your office. You may also opt to have the package delivered to a friend or neighbor who’s home during the day. Another way to prevent package theft is to invest in tech like Amazon Key. This would enable delivery right through your front door for free. The kit starts for about $200 for a keypad entry and streaming capabilities. You may also use the Amazon Key App which can be synchronized to your car service account. The courier delivery will unlock the car using the same app, put your package inside and then lock your car again. You will get a final notification that your delivery has been completed. Being specific as to where your delivery item will be placed can also spare you from porch theft. Some shippers like UPS allows customers to provide specific instructions on where to drop the package. If you don’t have someone to receive your item at home, you might as well pick up your package. Check with Amazon if there is a locker near your area where your package can be delivered and picked up at your most convenient time.